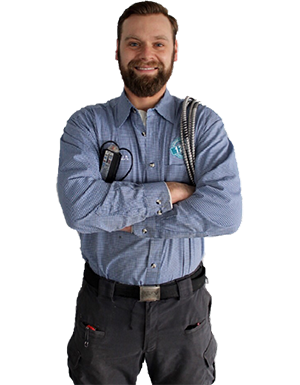 For qualified and dependable HVAC in Reading, MA, you can’t do better than 128 Plumbing, Heating, Cooling & Electric. We offer a comprehensive array of heating and cooling services that are designed with affordability and convenience in mind. What’s even better is that we are energy efficiency experts and can help you upgrade to equipment that will save you considerable amounts of money on your energy bills. After all, you shouldn’t have to break the bank to stay comfortable in your own home. At 128 Plumbing, Heating, & Cooling, we know how stressful it is when heating and cooling problems arise. You can’t exactly look the other way. In the summer, your home will quickly get unbearably hot and humid. In the winter, it will get dangerously cold. It’s crucial to get the repairs you need quickly, and we are the name to trust in Reading and neighboring communities. We place a top priority on providing prompt, affordable HVAC services to residential and commercial customers throughout the area. Replacements and Installations – Whether you’d like to upgrade to a more energy efficient air conditioner or want to switch from oil to gas heat, we can help. Repairs – Our team of highly trained technicians is ready to handle your HVAC repair needs. In addition to taking appointments during regular business hours, we offer 24/7 emergency service. You can always get the help you need. Maintenance – It’s amazing what regular tune-ups can do for your HVAC equipment. In addition to extending their longevity, tune-ups help to maintain the efficiency of this important equipment. Our USA Ultimate Service Agreement takes the guesswork out of maintaining your heating and cooling equipment. Keeping your home comfortable year-round is a snap with 128 Plumbing, Heating, Cooling & Electric. Don’t settle for a company that charges too much and offers too little. For superior HVAC in Reading, MA, call us today.